The latest version of our software, Excelpoint Version 3.3 is now available. Learn about all of the features and functionality we have included. 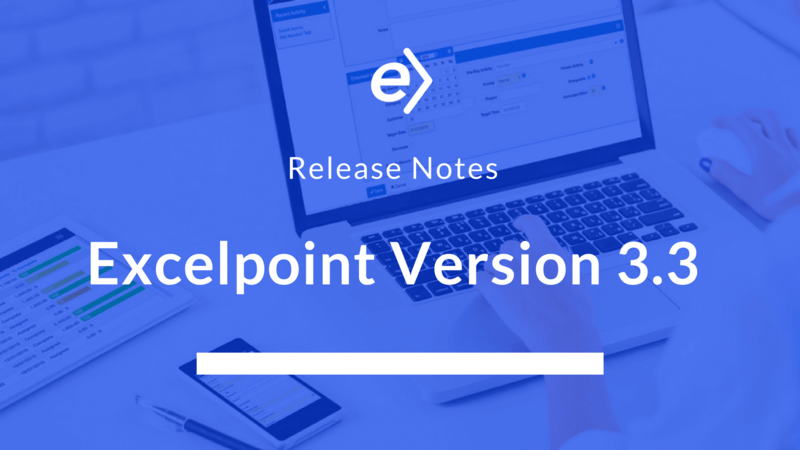 Excelpoint Version 3.3 will now be the version used as the standard version for all new customers. Any of our existing customers can upgrade to this version of our software free of charge. A new ‘Process Flow’ visualisation to show progress through stages in a business process. Trigger Processes on eight new events: Lock Item, Unlock Item, Generate Item, Generate Document, Download to App, Upload Attachment, Download Attachment, Delete Attachment. Extend support for navigating search results via next and previous on external items. Quickly access admin notes via a popup on the item type definition. Allow automatically generated serial numbers to be prefixed with a variable expression. A new shortcut allowing admin users to quickly create field tips. Introduced a new Process Activity to copy attachments. Allow the upload of multiple attachments at one time. Additional integration capability to more easily support public-facing websites. If you would like to upgrade to the latest version of Excelpoint, don’t hesitate to get in touch. For those of you who are not currently using our software, you can see all of the new and improved functionality by requesting a demo online or in person.